A friend suggested this new (actually old – they’ve been using it in Germany for some 12,000 years!) beauty recipe for hair that’s lost its mojo and seems totally dry and dull (MINE!). I took it for a road test, and after ages had hair that actually seemed bouncy and healthy and pretty. Let me tell you, for strands that have been colored and straightened into total lifelessness over many years of negligent adventurous behavior... this actually helped out my hair. Apples contain an ingredient called Pyrus Malus, which is a terrific hair conditioner. In fact, Pyrus Malus is used as a conditioning agent in many hair products. Apple cider vinegar, at the same time, helps balance hair’s pH levels, while simultaneously removing all gunk and product buildup. It also helps close the hair cuticle. 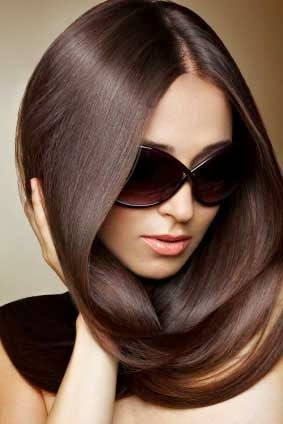 The result is a smoother surface, which reflects more light, making hair shinier and easy to manage. 1. Peel, core and grate 1-2 large apples. 2. Combine this pulp with 2 tablespoons apple cider vinegar, 1 teaspoon lemon juice and 1 tablespoon corn flour; mix well. 3. Work this mixture into dry, unwashed hair and leave it on for 30 minutes. 4. Rinse off the hair mask with tepid water. 5. Wash your hair as usual. Anyone going to try the apple hair mask? Got another beauty recipe or DIY beauty treatment that you've tried and loved? Tell me about it in the comments below and maybe I’ll use it for this blog (with all credits to you, of course)!